Yttrium is a highly crystalline iron-gray, silver-metallic luster, rare-earth metal. It is stable in air, because it is proteced by the formation of a stable oxide film on its surface, but oxidizes readily when heated. It reacts with water and mineral acids. Finely divided yttrium is very unstable in air. Yttrium nitride is formed when the metal is heated to 1000 oC in nitrogen. 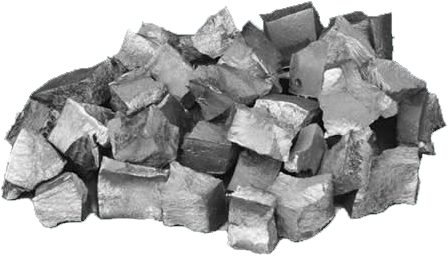 Yttrium is used as an additive (0.1 to 0.2%) to reduce the grain size in chromium, zirconium, molybdenum, and titanium, and to increases the strength of aluminium and magnesium alloys. The metal can be used as a deoxidizer for vanadium and other nonferrous metals. Yttrium can be used as a catalyst for ethylene polymerization reactions. 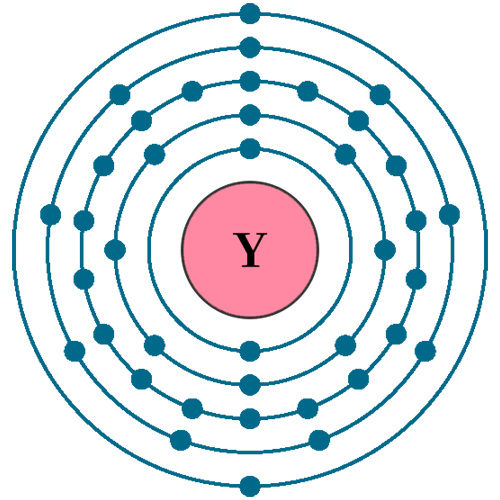 Yttrium is suitable to make Superconductors. A Yttrium oxide (yttria) Is the most important compounds of yttrium and It is widely used in making YVO4 europium, and Y2O3 europium phosphors to give the red color in color television tubes. Yttrium oxide is added to the glass which is used to make camera lenses to make them heat and shock resistant. YIG is also exceptionally efficient as both a transmitter and transducer of acoustic energy. 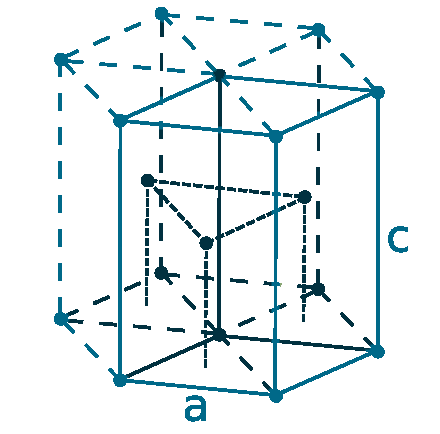 Yttrium-aluminium garnet (Y3Al5O12) is used in lasers that can cut through metals, It is also used in white LED lights. YAG with a hardness of 8.5, is also finding use as a gemstone (simulated diamond). Yttrium Aluminum, Iron, and Gadolinium garnets have interesting magnetic properties. 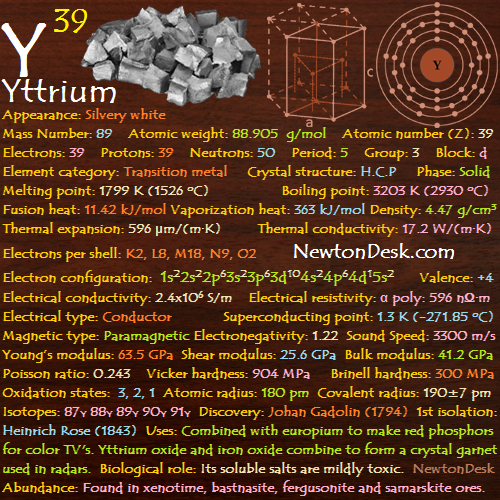 90Y is the Radioactuve isotope of yttrium, used in medical field (to treat some cancers, such as liver cancer). Isotope-90Y is exists in equilibrium with its parent 90Sr (isotope of Strontium), a product of nuclear explosions. Biological role: Its soluble salts are mildly toxic. 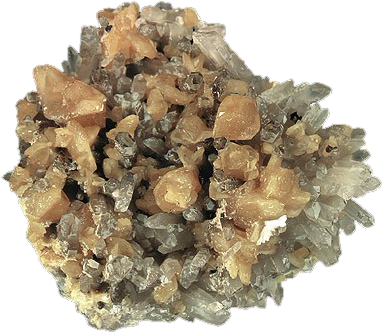 Yttrium is recovered commercially from ‘rare earth’ minerals monazite sand and bastnasite, which contains about 3% and 0.2% respectively. Xenotime can contain up to 50% yttrium phosphate. The metal is produced commercially by reduction of the fluoride with calcium metal. Annual world wide production is around 8000 tons.